A common co-working space within Collective Works Capital Tower. 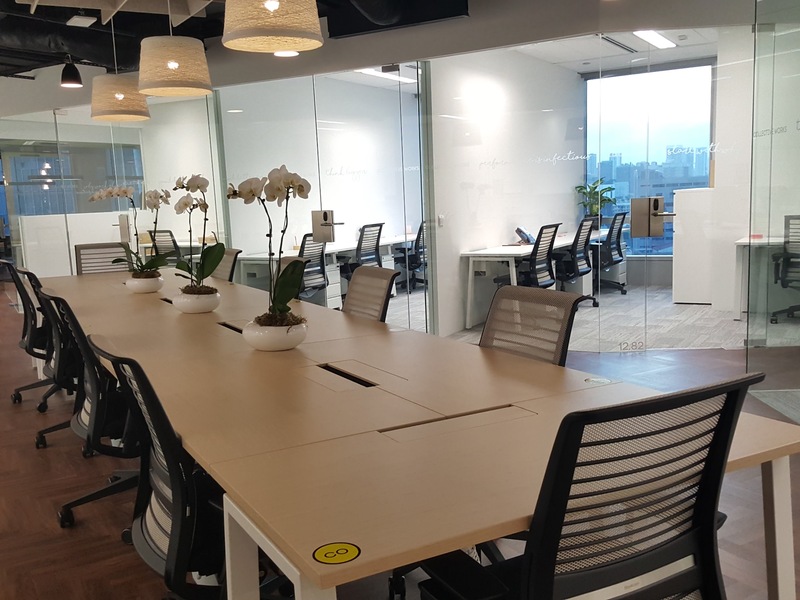 Singapore’s first CBD-based coworking space Collective Works has launched its second space, a joint venture with CapitaLand. 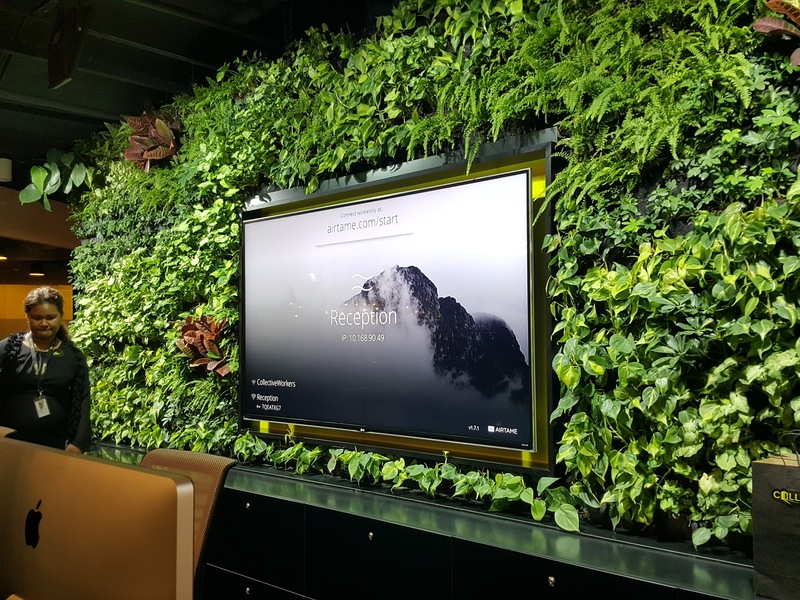 The 22,000 sq ft, high performance ‘office of the future' occupies the entire level 12 of the 52-storey Capital Tower in Tanjong Pagar. 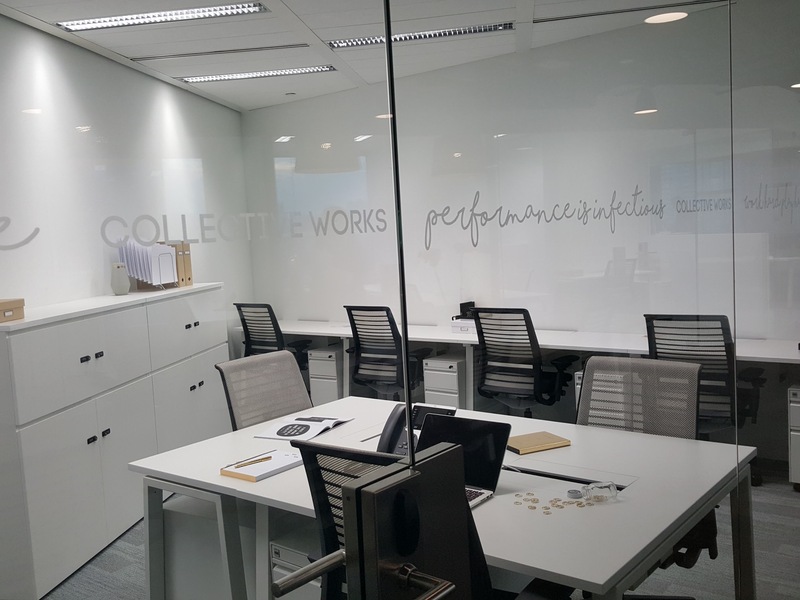 Collective Works has become known for its design aesthetic and superior attention to detail such as ergonomics, ambience, lighting and acoustic sound profiling. Technology infrastructure includes secure on-site server hosting, videoconferencing, IP telephony and redundant fibreoptic broadband. Designed by interior architects Contrast Design, the office interior is based on the concept of unfolding space, with surprises around every corner. The office is divided into different zones, each tailored to boost productivity, facilitate connections and encourage collaboration. 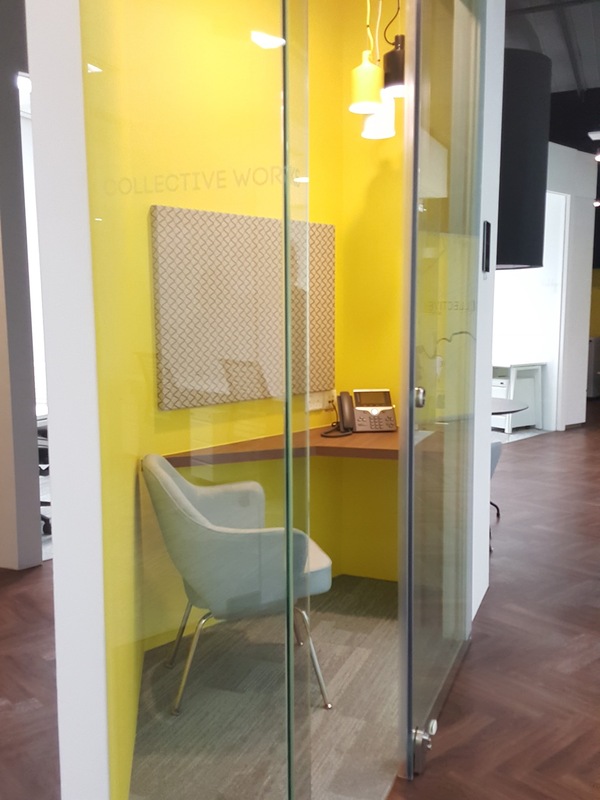 Solutions for businesses range from hot desks, dedicated spaces as well as formal offices of different sizes. 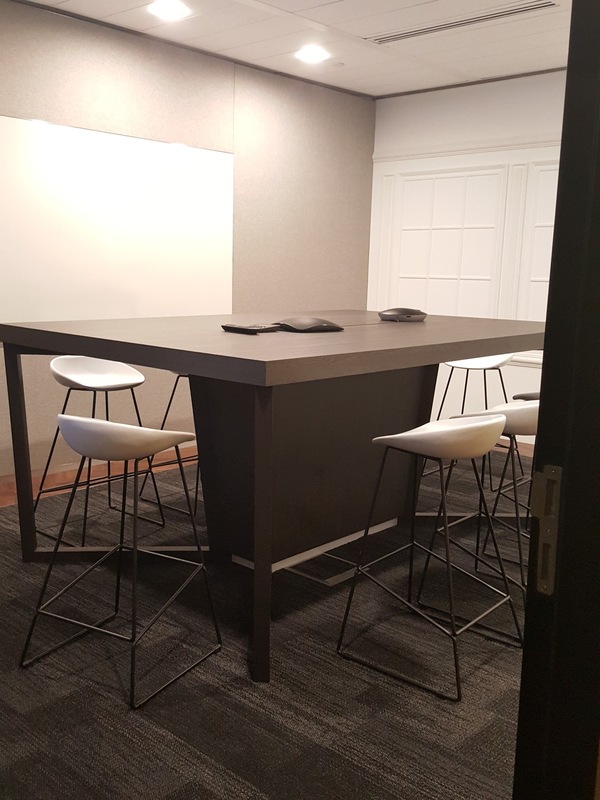 Quiet, secure meeting rooms, spaces for conference calls and brainstorm areas have all been built into Collective Works. There is also a studio for creation of media such as podcasts. 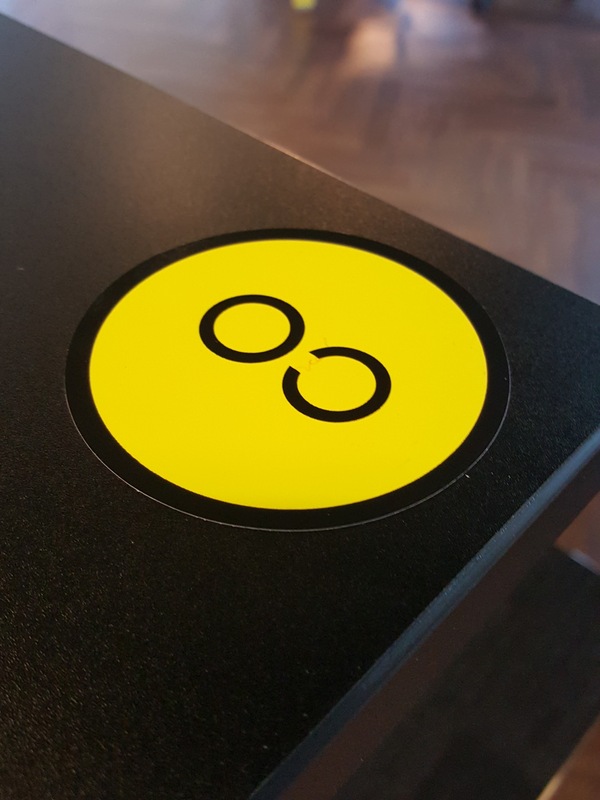 Jonathan O’Byrne, founder of Collective Works called co-working a "personal mission" that was born when he started his own business, but could not find "the right kind of workspace". "As a designer from a design background, I could create spaces and create solutions that could solve human problems," he said. "(It is about) improving the quality of work and improving the quality of workspace. 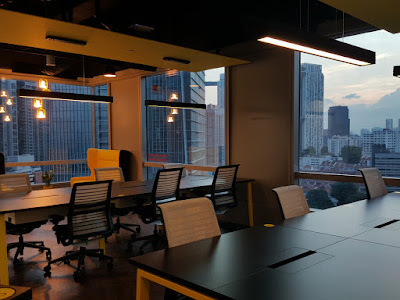 Members in the new space include global venture capital firm 500 Startups as well as a number of marketing, computer programming and data analytics companies. There is interest from global financial, technology and law firms too. Wen Khai Meng, CEO of CapitaLand Singapore, said the two companies look forward to providing more exciting spaces to meet all business needs in future. He called the new Collective Works space a flexible, high quality working environment with opportunities to network, collaborate and share. “CapitaLand is a progressive and forward looking real estate developer and our coworking partnership with Collective Works exemplifies this," he said. "This partnership leverages CapitaLand’s market leadership and extensive network. Besides reaching out to a vibrant new market, Collective Works Capital Tower will augment CapitaLand’s offerings to existing customers and corporate partners. To date we are excited to welcome a number of high profile members to Collective Works Capital Tower including 500 Startups who will undoubtedly bring new buzz to the Capital Tower community. Coworking is in line with CapitaLand’s ‘office of the future’ vision, where people work in hubs of collaboration, community and creativity. We will be watching this space keenly as it evolves. "We will take care of your every need. Just sign up, and focus on your work," he said. A living wall greets visitors at the reception area. One of the many offices within Collective Works. All offices come with glass walls and similar furniture but are of different sizes to accommodate different business requirements. 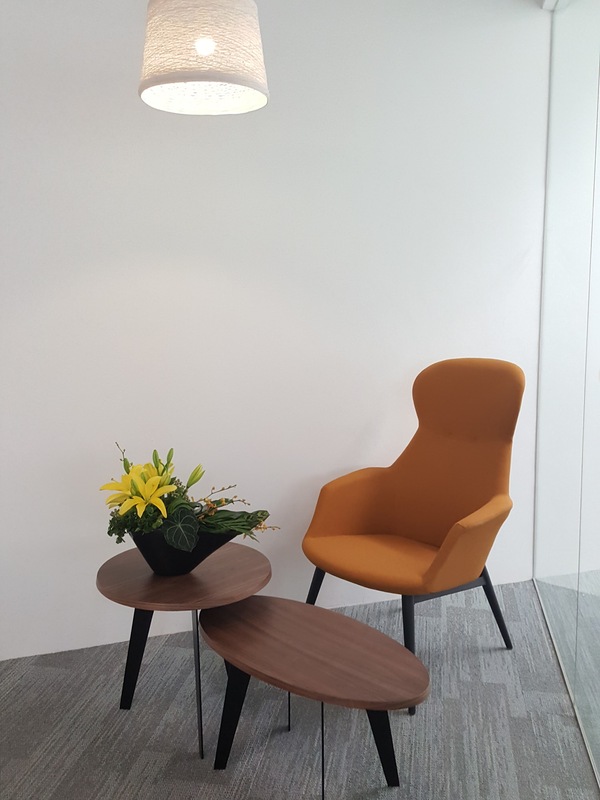 The office has been designed with discussion areas in nooks and corners to stimulate creativity and collaboration. Many of the common working areas have impressive views of the city. Tables marked with the 'CO' sticker - for co-working - are meant for common use. 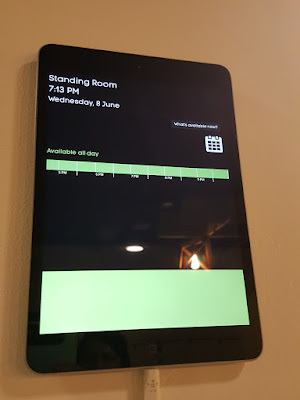 The Standing Room, so named because it is meant for discussions to take place among people who are standing, was conceived to change the dynamics of decision-making. Each meeting room has a touch panel outside showing when it has been booked. 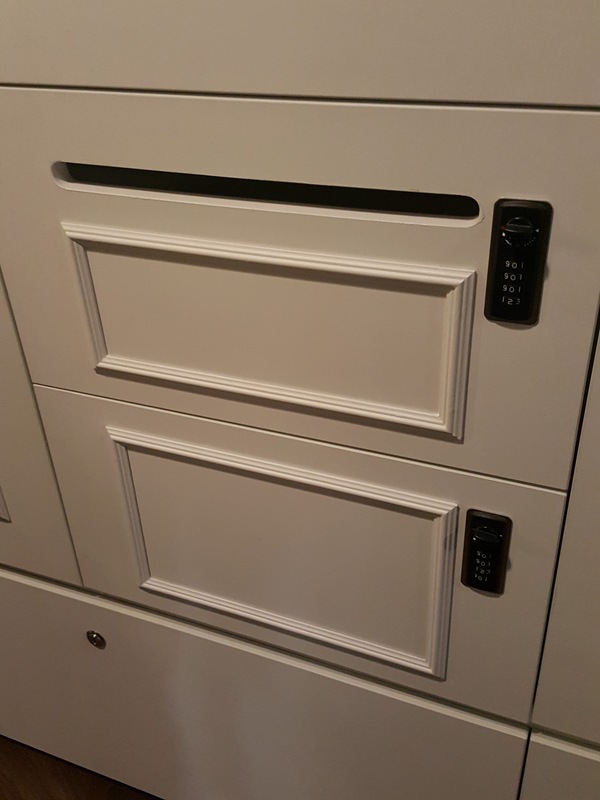 Lockers for Collective Works members come in different sizes. Each locker has a combination lock of four digits instead of the standard three for extra security, and a slot at the top for mail. Sound-proof phone booths for conference calls. 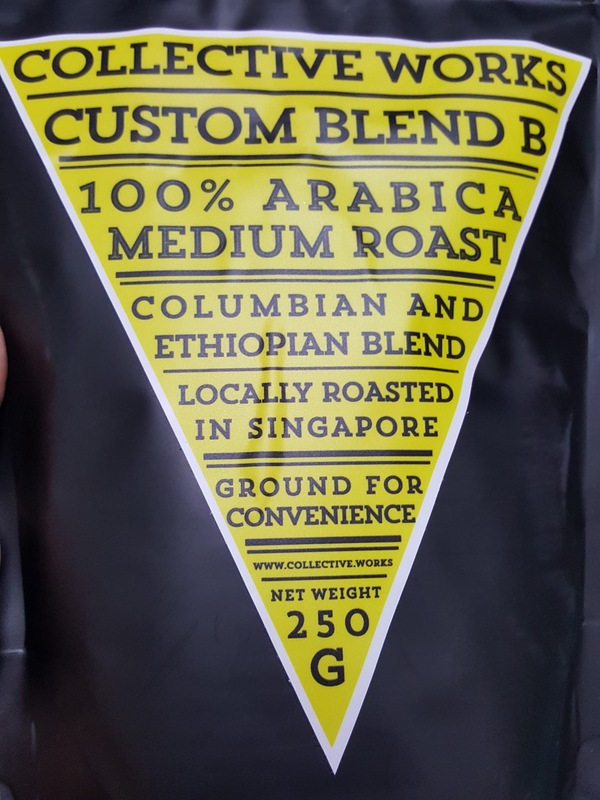 Coffee quality may seem like a small detail for a co-working space, but Collective Works came up with Custom Blend B from Colombian Arabica and Ethiopian Sidamo Cherry Red coffee varieties. 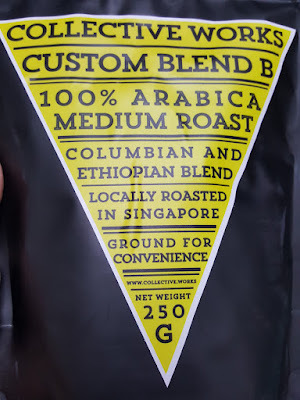 The beans are blended and roasted by a boutique roaster in Singapore, processed in batches of only 20kg batches a month for freshness. Three blends were originally developed but Blend B was the favourite.